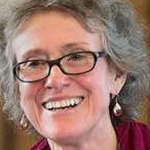 Arlie Russell Hochschild is a professor emeritus of sociology at the University of California, Berkeley. Professor Hochschild has long focused on the human emotions, which underlie moral beliefs, practices, and social life generally. She is the author of nine books including, most recently Strangers In Their Own Land: Anger and Mourning on the American Right, which is based on intensive interviews she conducted over the last five years with Tea Party enthusiasts in Louisiana. Strangers in Their Own Land is a finalist for the National Book Award. Bill Curry writes for Salon and The Daily Beast. 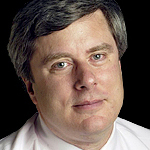 Mr. Curry was a White House counselor to President Clinton and a two-time Democratic nominee for governor of Connecticut. He is at work on a book on President Obama and the politics of populism. Ralph Nader is a hero of so many a hero of mine as well …..Thank you Ralph for your work…. i love your radio show also. A superb interview! Paul Kingsnorth has an interesting perspective here, informed by Wendell Berry and Edward Abbey. His essay bemoans that our neoliberal overlords have no sense of place. Placeless liberalism is the issue. Workers in this economy of Bush and Hillary are expected to never develop roots, eternally migrating to jobs in North Dakota and elsewhere, as if they had no connection to the trees of their youth and more. That idea of “placeless liberalism” squares EXACTLY with Ms. Hochschild’s description of the Trump voter having a deep connection to place and neighbors. Garrison Keillor understands this. Here is that seminal essay. Anyone who thinks there is a “typical Trump voter” doesn’t understand! I think reading some George Layoff, Richard and Rhoda Goldman Distinguished Professor of Cognitive Science and Linguistics at the University of California at Berkeley may offer some insight into the supposed paradox’s presented by the first guest. Perhaps you are already familiar but from the interview I did not get that impression. Hello, love the show…very thoughtful, intelligent and no fluff……oh god thanks for no fluff. The sociologist Hochschild was very interesting. I really grasped how she framed a Trump voter as someone standing inline and seeing others cut in front. Donald spoke their language and was voted in. I wonder if she plans on re-visiting any of these voters caught up in the ‘rapture’ of Donald Trump, now that it is becoming clear that Trump is really self seeking, and not really interested in their needs. I am speaking about his cabinet appointments.